Remember that episode of Futurama, “Crimes of the Hot,” where all the robots in New New York are sent to an island to party until they die? That’s basically this poster, except these robots will never die. At least not in our hearts. 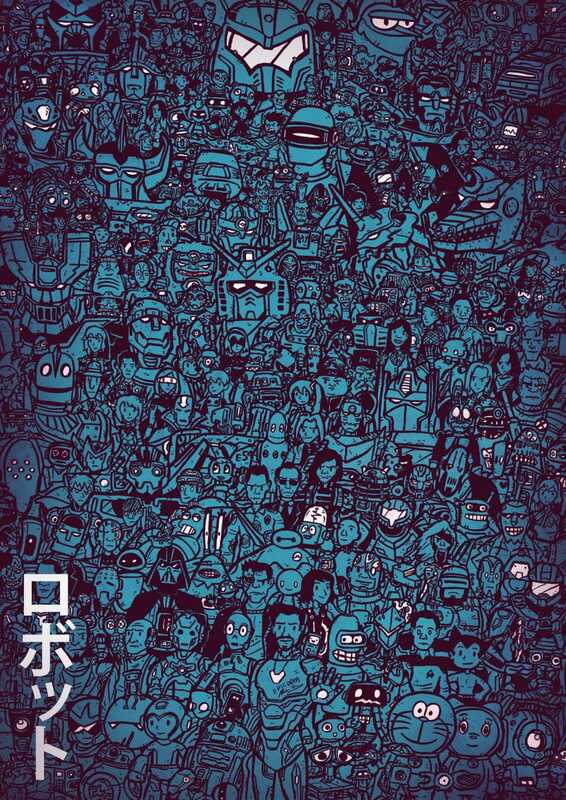 Artist Dominic Tan has released a new poster called Domo Arigato, featuring hundreds of popular robots and robotic hybrids from popular movies, TV shows, anime, and comic books. It harkens back to Richard Sargent’s Where’s Wall-E? poster, although this one is a bit bigger — while Sargent’s had 180 robots, Tan says his poster features 262, give or take a few. You can see everyone from Bender from Futurama to Mechagodzilla to The Matrix’s Agent Smith, and even some lesser-known bots like Janet from The Good Place and Robot Krabs from SpongeBob SquarePants. When I asked Tan which was his favourite robot on the poster, he admitted his pick is unconventional. Which robots catch your eye? Tan said it took him about a month to draw and colour in the poster. He thought it would take much longer, but the process was shortened thanks to the help of some folks in the Reddit community, who suggested robots he could add to it. Tan is planning to work on a poster focusing on either aliens or monsters, but said he wants to take a little break with some smaller projects first. The poster, along with Tan’s other work. is available here for anyone interested in checking it out.